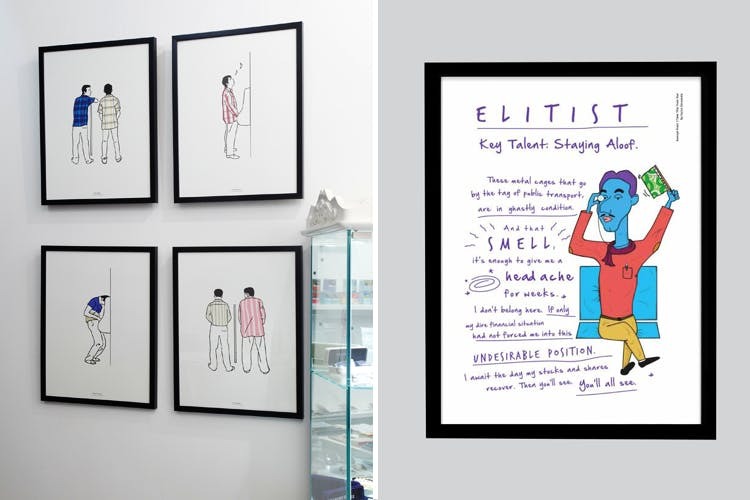 The Filter Shop creates and curates quirky design, photography and fashion under its roof in Kala Ghoda district. The shop has some of the quirkiest bits and bobs and odds and ends based on legit deadpan humour. A retail store where talent, thought and design seamlessly combine to offer out of the box things, it's a store worth visiting, for all the right reasons. Their minimalist yet quirky tee start at a nominal INR 500. Stationery items starts at a mere INR 100 and include things like printed notebooks that have been worked on by artists across genres. Then they have fancy bookmarks, and their South Mumbai map set (INR 250) with a little booklet to take your notes is one of our favourites. Their wrist watches are also out of the ordinary with different kind of dial calibration. And over and beyond this, they also have a lot of other thing you will find tough to resist. Hours can be spent at this shop, and you’re going to feel so pleased with yourself that you picked up just one tiny thing like a wooden pencil with Sylvia Plath’s name engraved on it, but then on your way to the counter, you add another zany little greeting card here. And another small bookmark there. And another. And another. And another.